This article provides an overview of the Remington Steele TV Series. The overview includes general information about the series, the cast, season episodes, and ratings. Remington Steele is an American TV series that is produced by MTM Enterprises and was first broadcast on the NBC network from 1982 to 1987. The show was created by Robert Butler and Michael Gleason. The Remington Steele television show combined the standard TV detective genre with ironic plotting and elements of romantic comedy between the series two main stars. The shows main characters carry on a constant behind the scenes battle as to who is actually in charge of the investigation agency. Much of the detective work that is going on is actually centered around figuring out how the other person feels. The show was also considered to be the forerunner of Moonlighting, another extremely popular hit series. The Remington Steele TV series starred actress Stephanie Zimbalist as private detective Laura Holt. 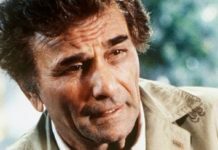 Realizing that people are less likely to hire a woman to do detective work, she created the fictitious name “Remington Steele” for the investigation agency. 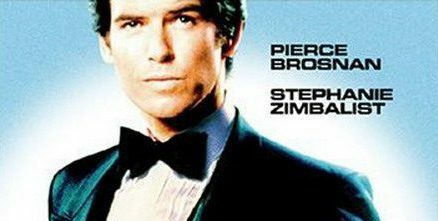 Actor Pierce Brosnan plays a rogue, former white-collar thief and con man who assumes the fictitious identity Remington Steele and begins working for the agency. Originally, Brosnan was brought on to play Remington, but was intended to serve as a figurehead only. However, as he became more popular, his role was increased significantly. Many thought that eventually, he completely overshadowed Stephanie Zimbalist, the show’s original star. Oddly, he was initially refused for the role by NBC executives because he was relatively unknown at the time. In addition, the show had a wide variety of recurring cast members and famous guest stars throughout the seasons. The Remington Steele TV Series ran for a total of five seasons, which included a total of 94 episodes. Each ran for a total of 60 minutes. The shows are available for purchase on DVD at Amazon.com. Packages include additional features such as cast interviews, behind the scenes footage and more. 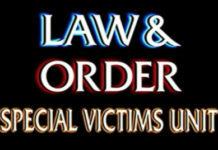 Season 5 – 6 episodes. The final abbreviated season consisted of six hours of made-for-TV films. The hit series is also available on online streaming sites such as Hulu. The opening theme was known as “The Remington Steele Theme” and was composed by Henry Mancini. The ending theme was known as “Laura Holt’s Tune”, also composed by Henry Mancini. The series was generally well rated with the viewing audience. Watch all of the season episodes on Amazon Video. If you have any questions or comments about the Remington Steele TV series, please feel free to post a message below. Also, check out other Police Crime Dramas on DVD. eInvestigator gives the series a rating of 4 out of 5 stars, mainly for the chemistry between Pierce Brosnan and Stephanie Zimbalist. Remington Steele was one of my all-time favorite TV crime dramas.